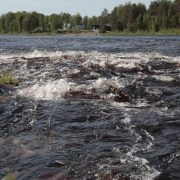 The Regional Council of South Ostrobothnia and The Finnish Environment Institute together with Akordi assembeled a citizen jury to discuss the use of marshlands as a part of preparing the Regional Plan of South Ostrobothnia. The aim of the proposed plan is to integrate the interests of peat production, conservation and other marshland usages. The work was launched as an experiment for testing new kinds of ways for public participation. Jonna Kangasoja from Akordi assisted and facilitated the meetings. Alltogether 15 members were picked from 37 registered volunteers that represented different age groups and occupations from around the Region. The jury met three times during September and October 2018. The members had different viewpoints on the issue as some were more supportive of peat production and some in protecting the areas. Also the views of water protection and recreational use were discussed. Allthough the jury wasn’t unanimous on their views, it did form a statement for the the proposed Regional Plan of South Ostrobothnia. According to the statement the aim of the planning should be to use the marshlands in the area in a sustainable way. The feedback from the jury about the experience was mainly positive and encouraging for similar work to be done in the future. Allthough the group didn’t reach consensus, the participants felt it was important to be offered a time and place for an open discussion. 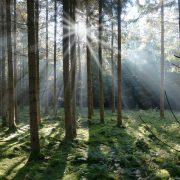 The city of Jyväskylä has finalised its first strategic Forest Programme. The consensus building process facilitated by Akordi had five different phases: 1) stakeholder assessment, 2) defining the process and its goals, 3) joint fact-finding, 4) finding and discussing the solutions and 5) compacting the programme. The sixth phase will be implementation and evaluation phase. The group responsible for the planning and compacting the programme was assembeled from different stakeholder groups that had been identified as key actors by a stakeholder assessment. The group had representatives from the city of Jyväskylä, Central Finland Bird Club, Forest Group, the Finnish Association for Nature Conservation (Jyväskylä), the Finnish Nature League, JAPA association and the University of Jyväskylä. Representatives in the group were selected by participants from different stakeholder groups in the process kick off. During the process the group engaged in joint fact-finding. During that phase the group focused on identifying the most important views, needs and goals for the management of Jyväskylä’s forests. They organized a seminar about topical forest information having professional speakers from different fields, visited different forest locations and executed a survey for the residents of Jyväskylä. In the following phase the group engaged in deep discussions and finding solutions that could be approved by all members. By working with different kinds of drafts the group searched for a solution that all parties could agree on and commit to. The Forest Programme was presented to the board of Urban Planning and City Infrastructure in 2.5.2018 after which it was published and commented on by the public during May 2018 including a public audit in 30.5.2018. The working group met 18 times during the planning process. The final Forest Programme aligned that the conservation rate of Jyväskylä forests would be raised to 17 %, the amount of restorative forest would be stepped up by decreasing the amount of forests in financial use and that the ways and tools of commuciation between the forest management and residents would be enhanced. The city of Jyväskylä has been the first city in Finland to engage in a consensus building process in their forest planning while having a consensus building practitioner as a neutral party and facilitator. For more materials visit here.